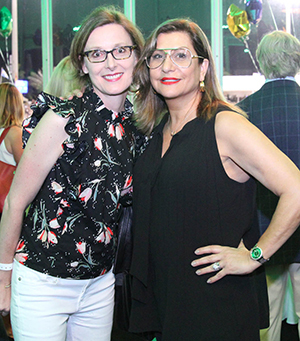 Equestrians and horse lovers alike turned out on Saturday night, February 24th, at the Palm Beach International Equestrian Center for an exciting and magical night to support the EQUUS Foundation and the welfare of America's horses. 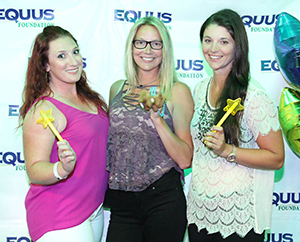 The "Saturday Night Lights with the EQUUS Foundation" annual event once again included a cocktail hour, buffet dinner and a close up, ringside view of the exhilarating CSI 5* Grand Prix competition. 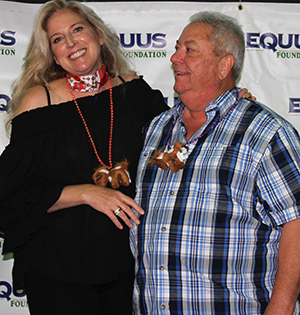 The evening also included a silent auction consisting of varied and wonderful items generously donated by individuals and organizations that care about the welfare of America's horses. 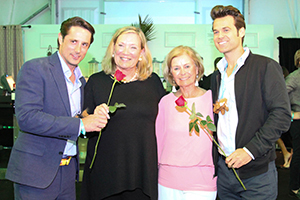 This year's special guests included not one, but two "Bachelors" from ABC TV's "The Bachelor" and "The Bachelorette/The Bachelor in Paradise." 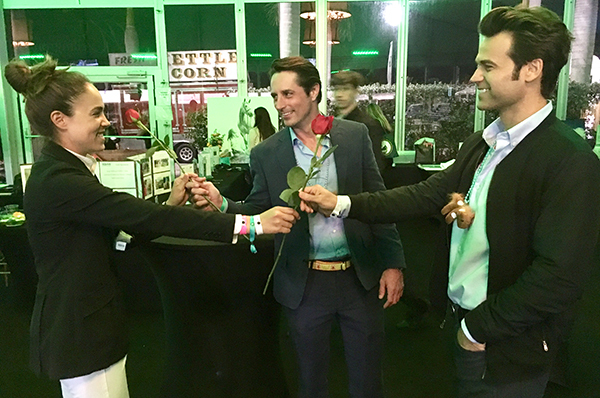 Prince Lorenzo Borghese and Ryan Beckett, both animal welfare advocates and horse lovers, charmed and entertained by posing for photos and handing out red roses to the delight of attendees. 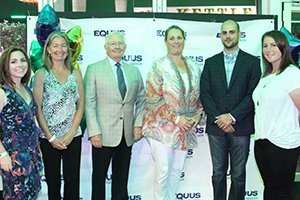 EQUUS Foundation EQUUStars, Hayley Barnhill, Jessica Springsteen, Brianne Goutal-Marteau, Georgina Bloomberg and Clementine Goutal, joined EQUUS Foundation Board Chair, Jenny Belknap Kees, Vice Chair, Catherine Herman, and Board members, Patty Keenan, Dr. Rick Mitchell, and Anne Walker to greet guests and rally support. 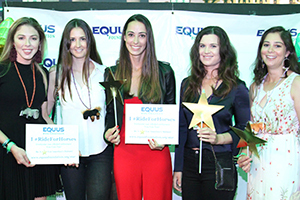 "What an incredible year we have had for horses - and we are just getting started!" said EQUUS Foundation VP of Communications, Valerie Angeli, speaking to attendees. Angeli recapped the organization's successes and new activities during the past year since she signed on to represent the organization, including the launch of the #RideForHorses campaign and four equine adoption events at select high profile horse shows - resulting in numerous equine adoptions and increased awareness that equine adoptions are as promising and limitless as adopting a dog or cat. 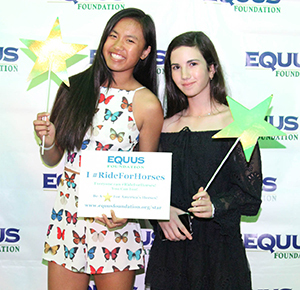 The EQUUS Foundation kicked off 2018 in Wellington with its first #RideForHorses Rally on January 15th sponsored by Upper Echelon Academy at the Cloverleaf Farm. 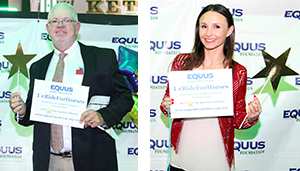 "Hundreds of visitors from famous riders and equestrians competing at the Winter Equestrian Festival to local horse lovers of all ages turned out to support horses that need us," said Angeli, "and two rescued miniature horses were adopted on the spot!" 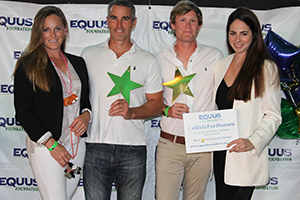 "Everyone here can feel confidence in supporting our work," said EQUUS Foundation Founder and President, Lynn Coakley. "It's important to recognize that there is a great disparity in horse care practices among equine organizations. We are known for our unique and rigorous screening process that ensures that your gifts will be shared with equine charities that are transparent and operating at the highest standards for horse care. There is no guesswork." Angeli continued, "Over 100,000 American horses are being shipped over the border for slaughter for human consumption each year. THIS IS NOT OK, but the GOOD news is that a ban on this transportation may be on the horizon." 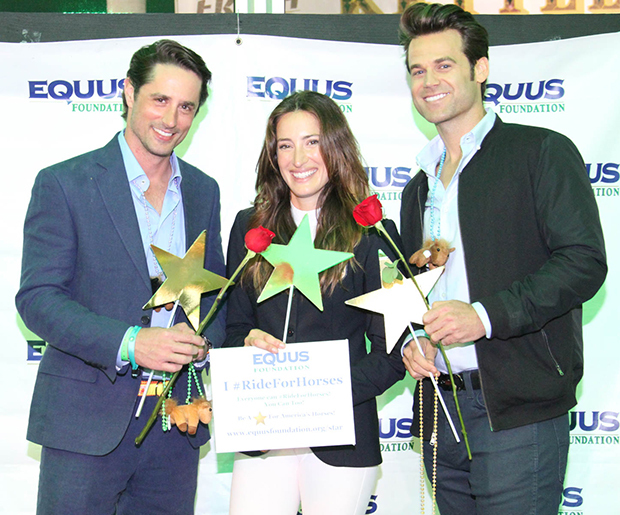 With the prospect of 100,000 more horses needing homes - it is more important now than ever before to identify and support rescue organizations with the capability of expanding their rehoming operations and equine therapy organizations with the capability of increasing their services to take on more horses that need safe homes and a loving purpose. "We're thankful to have been able to award $200,000 in grants in 2017, and nearly $2,000,000 since 2011 when we transitioned from a local to a national organization, but it's not enough. Our immediate goal is to award $500,000 this year, and double it by 2019," said Coakley. "We are all here because we love horses. 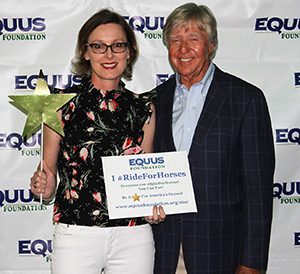 Now it's time to return the favor to all the horses out there across the country that desperately need our help," said Angeli.